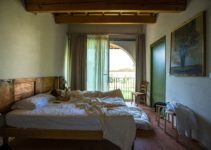 Finding a great blanket that you can use in the summer and winter months can be difficult, but it is possible to find a blanket that’s a good balance of warm and lightweight. The best summer blanket has to be breathable so you can stay cool while you sleep. But, there are thousands of different blankets to choose from, and they all offer something slightly different. This can make it very hard to find a blanket to suit all of your needs, but we’ve rounded up the top ten summer blankets for you. We’ve also included a buyer’s guide, so you know what points you want to keep in mind when you’re shopping for your new summer blanket. It’s easy to get overwhelmed when you’re searching for new blankets, but whatever blanket you choose should meet some if not all of these important points. You want to find the best summer blanket that is hypoallergenic. This means that it acts as a repellent for many types of common allergy triggers like dust mites and pet dander. But, if you’re allergic to the microfiber itself, you want to buy a blanket that you can wash in hot water because it’ll remove any allergens. The fabric is going to be one of the first things you have to decide on, and it can cut your search time down very quickly. Some people like very soft and fluffy blankets, while others like smooth and sleek. Cotton – Cotton is one of the most popular summer blanket fabric choices because it’s very lightweight and breathable. They also stand up to repeating washing very well, and they produce moderate warmth, so they’re great for summer use. Down – Any down blanket has a thin layer of feathers that are situated between two fabric layers. They’re lighter and thinner than a traditional down comforter. Fleece – Fleece blankets feature a very tight weave and a very soft and plush finished product. They are slighter warmer than other summer blankets. Wool – You can purchase both thick and thin wool blankets. The summer wool blankets usually have a looser weave, and they’re more lightweight and breathable. It’s a good idea to look at the cleaning and laundry instructions before you purchase a blanket. Some require you to spot clean only, some are dry clean only, and some let you toss them into your washing machine with no issues. Also, pay attention to any temperature specifications because this can shorten the life of your blanket if you’re washing it at the wrong temperature. Moisture-wicking refers to the blanket’s ability to allow moisture to pass through it and how well it breathes. 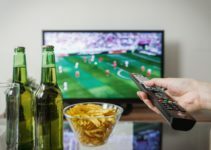 Cotton, wool, and silk fabrics have greater moisture-wicking capabilities, while synthetic materials tend to retain moisture for a hotter sleeping experience. Pilling refers to how much your blanket will form little balls of excess fuzz after they’ve gone through the washing machine. Fleece blankets are more prone to pilling. Shedding means that your blanket gets thinner as it loses fibers, and wool blankets are more prone to this. The blanket’s weave is also an important consideration because this will determine how breathable the end result is. For the most part, cotton blankets tend to come with a thermal pattern, and this allows for optimal airflow and circulation. Heavier blankets feature knit weaves to help them retain their warmth. Choose from white or grey coloring with four different sizes ranging from a twin to a king. This lightweight 100 percent cotton blanket features a breathable but durable dobby weave with square waffle patterns. You can machine wash and dry it for easy cleaning. This blanket is designed to be low shedding, and it’s a thermal blanket that is light enough for year-round use. The cotton fabric gets softer with each wash, so the blanket gets better the longer you have it. It keeps you cooler on warm nights and warmer on cold nights. Choose from a twin or a queen size, and this lightweight comforter is made with 100 percent polyester microfiber material. It is very thin, lightweight, and breathable so you can use it during the summer months as well as the winter months. It has a box stitch construction that helps to ensure that the filling doesn’t bunch up when you wash it. It’s very easy to care for, and you can wash it in your washing machine to clean it. It feels very soft to the touch, and it can help to regulate your temperature while you sleep. You can choose from three different sizes and seven different colors with this summer blanket. it comes with a herringbone twill design for a durable weave and 100 percent pure cotton for added breathability. It’s machine washable so it’s easy to care for and maintain. 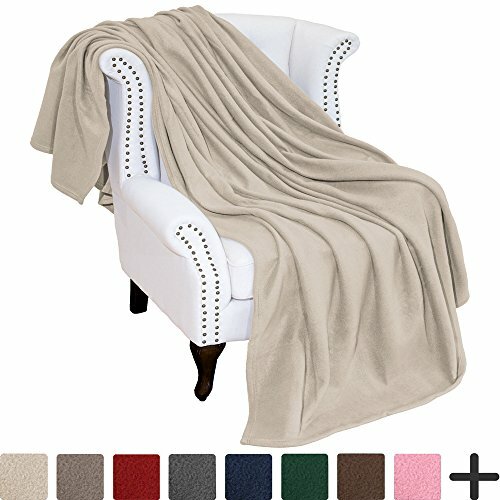 This blanket is medium weight, and this makes it an ideal blanket for all seasons. It’ll keep you cool in the summer and warm during the winter. The cotton will soften with each wash so you’ll get a luxurious and soft feel every time you use it. You can choose from a throw blanket, twin size, or a queen size in four beautiful colors. The bamboo fiber is extremely soft, and it has a very smooth and sleek feel look and feel. The breathable fabric is odor-resistant and slightly heavier. It is also resistant to mold, bacteria, or fungus buildup, and this makes for a cleaner and healthier blanket choice. It can absorb sweat and cause it to evaporate, so you get a cooler sleeping experience all year round. The twill pattern adds a touch of elegance, and the tighter weave ensures durability. 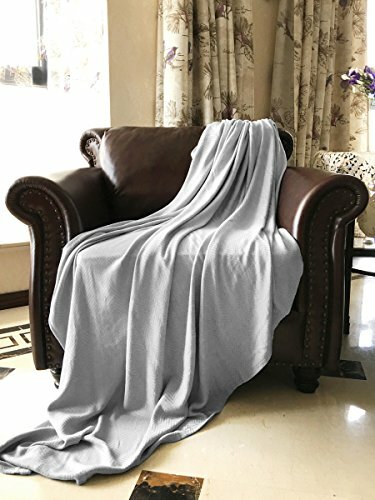 This lightweight flannel fleece blanket comes in a twin, queen, king, or throw size, and you can choose from 15 color options. It is made with 100 percent microfiber polyester for a luxurious look and feel. It is resistant to wrinkles and fading as well. You can machine wash this blanket with cold water and tumble dry it on low, and it is designed, so it doesn’t shed. 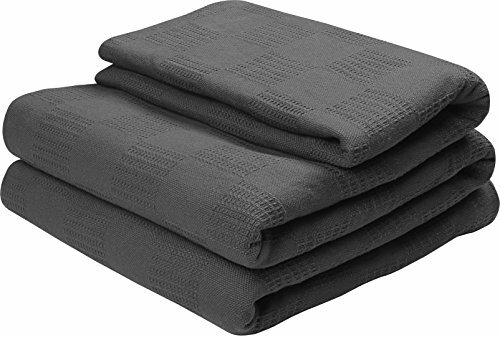 The blanket comes with a five-year limited manufacturer’s warranty so you can send it back with no problems if you find an issue with your blanket. This lightweight Egyptian cotton blanket comes in three different sizes and seven soft colors. It made to be slightly oversized to compensate for any shrinkage that may occur due to drying it. It’s machine washable, so cleaning it is easy and fast. It has a loose chevron weave that allows for optimal airflow, but it’s heavy enough to keep you warm on cooler nights. It is very lightweight, and the 100 percent cotton makes it very soft to the touch. You can use it alone or as an additional layer with your other bedding. This thermal and lightweight blanket is made with premium poly-fiber yarns for a luxuriously soft feel and an elegant look. You can choose from our different sizing options and 10 different colors. It is a very breathable material, so you can use it year-round comfortably. You’re able to machine wash and dry this blanket, and it comes with a 100 percent satisfaction guarantee. It is also hypoallergenic, and this is great for anyone who has indoor allergies or sensitive skin. The blankets are also slightly longer, so there’s more than enough to go around. This blanket comes with a chevron weave with 100 percent cotton material. You get the choice of eight different colors and three different sizes for a good fit. 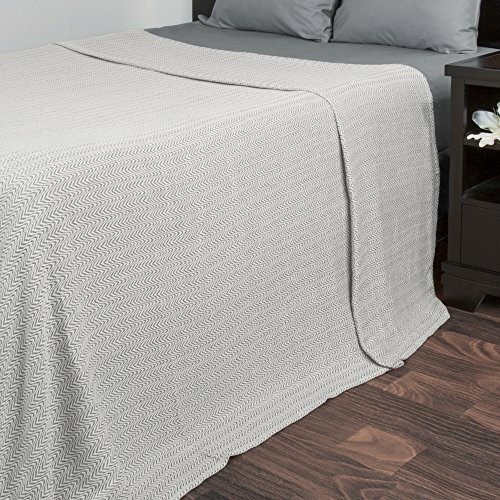 This blanket is machine washable, and this makes it very easy to care for and clean. It weighs in at just two pounds, and it’s great to use by itself or as an extra layer on colder nights. The chevron weave is very breathable, and the lightweight cotton texture makes this a great summer blanket. It gets softer and more plush with every wash. 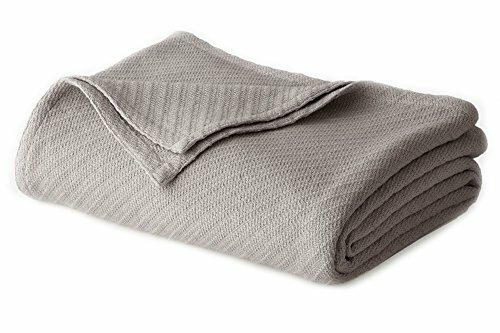 This microfiber blanket is made out of 100 percent pure cotton for a lightweight and soft look and feel. It is hemmed on all sides to prevent fraying, and this can help the blanket last longer. Choose from four different colors and three sizes. The tight herringbone weave is perfect for year-round use, and it is breathable enough to use on warm summer nights. It is designed to have no or very low shedding, even after several washes. The blanket also gets softer with each wash, and you can dry it in your dryer for easy cleaning. This 100 percent polyester polar fleece blanket is very soft and luxurious. It comes if four different sizes and several color options. It features double needle sided stitching for added durability and softness. 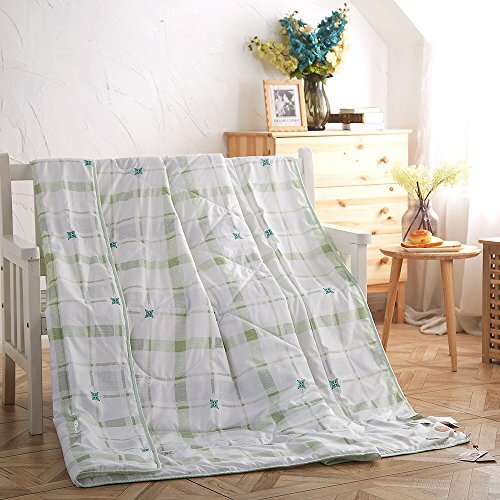 This blanket is also hypoallergenic and safe for sensitive skin. It’s machine washable, and you dry it on air dry. It is designed to have little or no pilling, and it’s lightweight enough to take with you when you go. 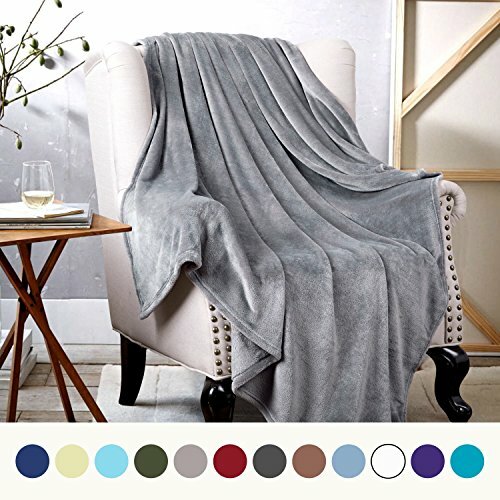 The soft, breathable fabric makes this blanket a good choice for both summer and winter nights. You also get a 100 percent satisfaction guarantee. Picking out a good summer blanket doesn’t have to be a difficult process. If you pay attention to the important points we listed in our buyer’s guide, and if you compare the summer blanket reviews, you should be able to quickly and easily find the best summer blanket to suit your needs.